The magic number is 44. On Tuesday, April 16, Albertans all across the province will head out to their designated voting station to cast their ballots in the 2019 Alberta provincial election. 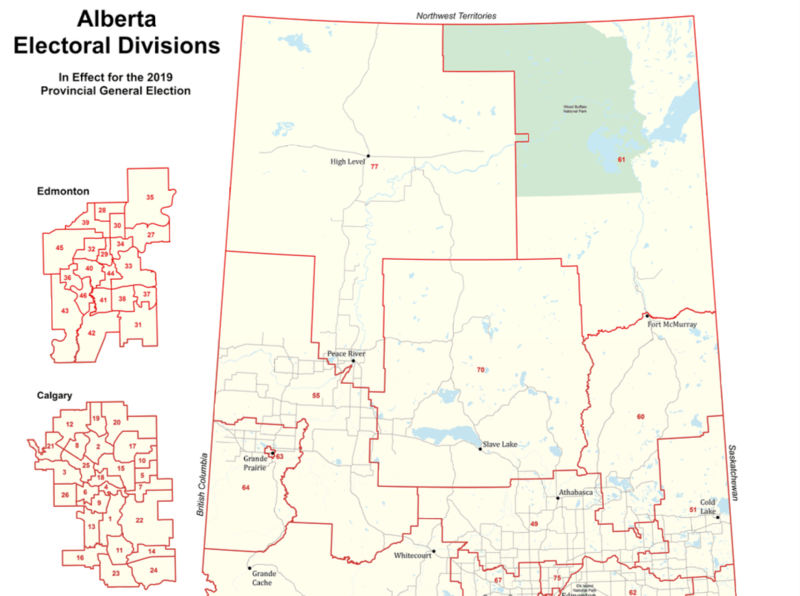 Those votes will go towards a candidate within their electoral district, combining with the votes of their neighbours to elect one representative who will sit on their collective behalf in the Alberta legislature building. 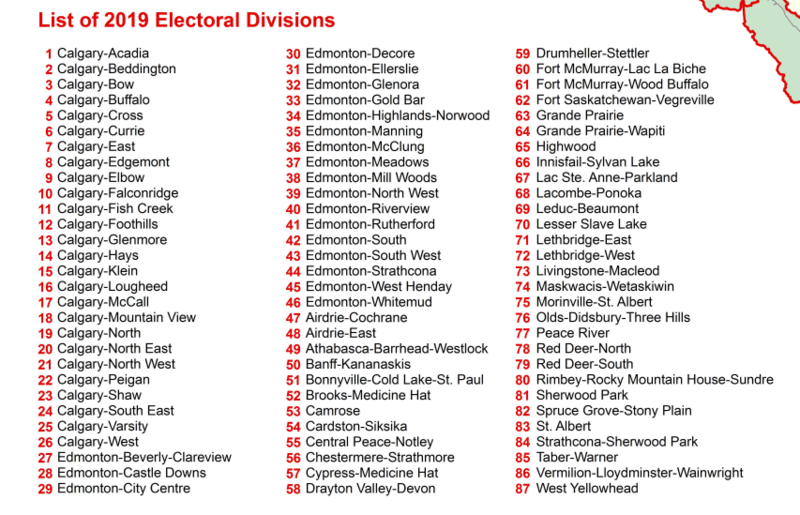 There are 87 of these electoral districts throughout the province, which is what makes 44 such a magical number — any party that sees 44 or more of their candidates elected after all the ballots are cast and counted on April 16 will hold a majority government for (what will likely be) the next four years. Of course, things get a little stickier if there is no one party that manages to reach 44 elected candidates, so there is a chance of Alberta seeing a minority government — but we’ll worry about explaining all that if it somehow happens. If 2015’s election is anything to go off of — and it should be, seeing as how it was the first time that the NDP ever saw themselves win a majority government in Alberta, which brought an end to to 44 straight years of Progressive Conservative rule— then Edmonton will be firmly in Premier Rachel Notley’s court, and rural Alberta will vote with Jason Kenney’s United Conservative Party. We’re not saying that either of those are guarantees, either, but even if Notley took all of Edmonton and if Kenney took all of rural Alberta, neither of them would yet have enough elected MPs to take a majority in the house; That’s where Calgary comes in. 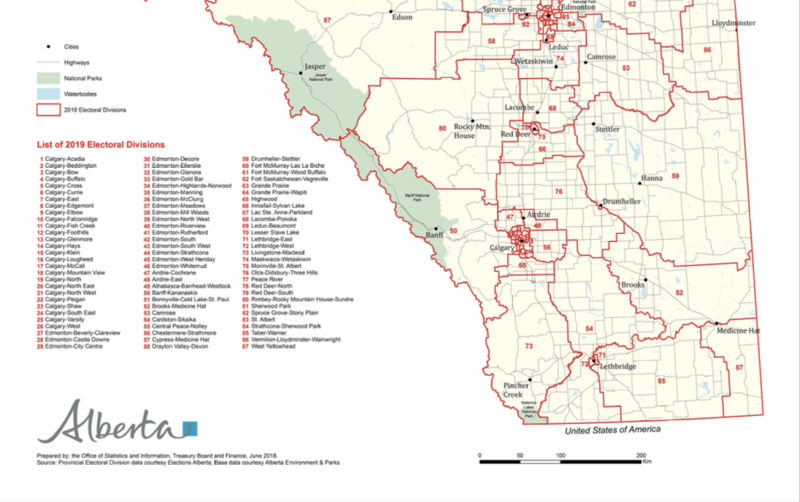 A quick count of the above map finds that there are 20 divisions designated to Edmonton, eight scattered throughout smaller municipalities (Lethbridge, Airdrie, Spruce Grove, Red Deer, and Grand Prairie), and 33 divisions that encompass large swaths of land throughout rural Alberta. 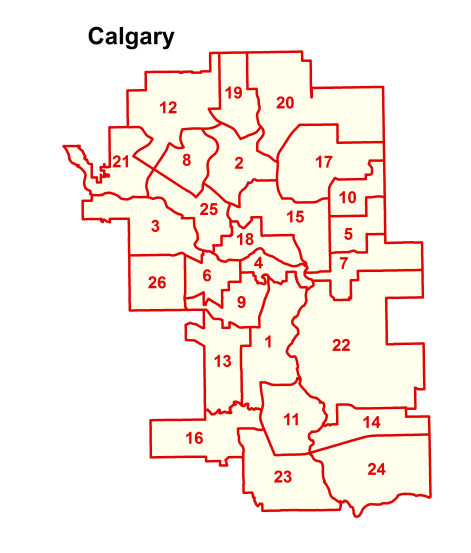 Calgary holds the remaining 26 divisions within its boundaries, which could be the key to either side taking a majority, or for a third party to win big and increase the odds of a minority government. Given that 2015’s election resulted in Calgary electing the most diverse range of candidates out of anywhere in the province — 17 for NDP, eight for the Progressive Conservatives, and one each for the Alberta Party and the Liberal Party — it’s no surprise that it’s being viewed by many as the battleground for this year’s vote. One Calgary division, Calgary-Glenmore, saw such a close vote in 2015 that the initial count had the NDP and the PCs exactly tied. It wasn’t until a recount that the NDP’s Anam Kazim was elected by a razor-thin margin. 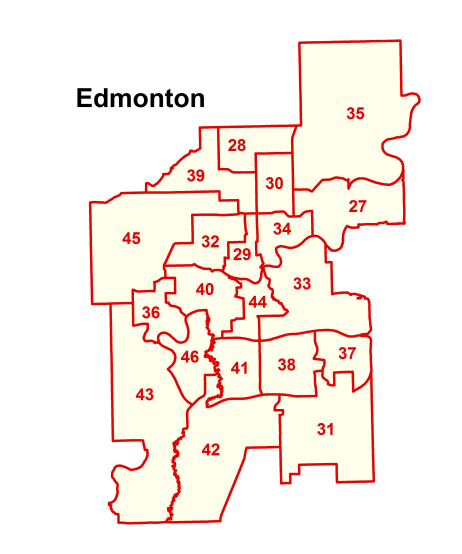 In the event that the NDP takes Edmonton AND all the high-population municipalities, they would still need 16 of Calgary’s 26 divisions. Likewise, if Kenney takes all 33 rural Alberta seats, he’d need 11 more from Calgary to hold a majority in the legislative assembly. Of course, this is all hypothetical, and, as we all saw in 2015, there’s no knowing where the votes will fall until the ballots have been counted (and in some cases, recounted). What actually matters is that you have your voice heard during Tuesday’s vote, and you can do so by casting a ballot at your designated voting station. …Unless you were one of the nearly 700,000 Albertans who already did so during the week of advance voting. In which case, good job! We’ll be sure to keep you updated on the results as they come in. Stations open at 9 am and close at 8 pm, with the winner expected to be announced late Tuesday night.